James Dawson is on the shortlist for the Queen of Teen award for his book Hollow Pike. 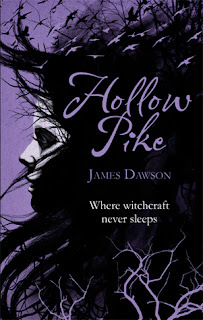 If you follow my blog or my random tweeting you'll know that I loved Hollow Pike by James Dawson something fierce. (If you are interested see my review here) It is witty and poignant with brilliant morals and a diverse selection of teenage characters who I loved. I simply can't say enough good things about this book and am regularly giving copies to people to share the Hollow Pike love. I was lucky enough to meet James Dawson at the weekend at an event run by Foyles showcasing a range of YA authors and get him to sign not only my copy but also a second copy of Hollow Pike to giveaway to you guys.